Desktop virtualization, or server-based computing, Arista office grade thin client is ideal for use in a variety of applications. The AP-3500-E01-003 is powered by Intel E3845 ATOM CPU and pre-loaded with ACP-enabled BIOS. At Arista, we take pride in making the installation process simple. The office grade thin client can be placed directly in a shelf or on a table with the desktop base stand (provided with the unit) or can be VESA mounted. “Every Arista ACP-enabled thin clients are engineered to deliver performance, security, and easy management. AP-3500-E01-003 gives ThinManager users an efficient and reliable computing platform with enhanced processing options and specialized I/O”, Bill Dong, Engineering Manager, Arista Corporation. The ThinManager program allows centralized management of network user terminals and can be monitored through network server. Moreover, its user friendly and eliminates the need of individual maintenance at each terminal location. ThinManager Ready thin clients can be easily replaced with a single mouse click and are more reliable due to the lack of hard drive. Not only this is a cost-effective solution, but it minimizes the chances of malware and data loss. 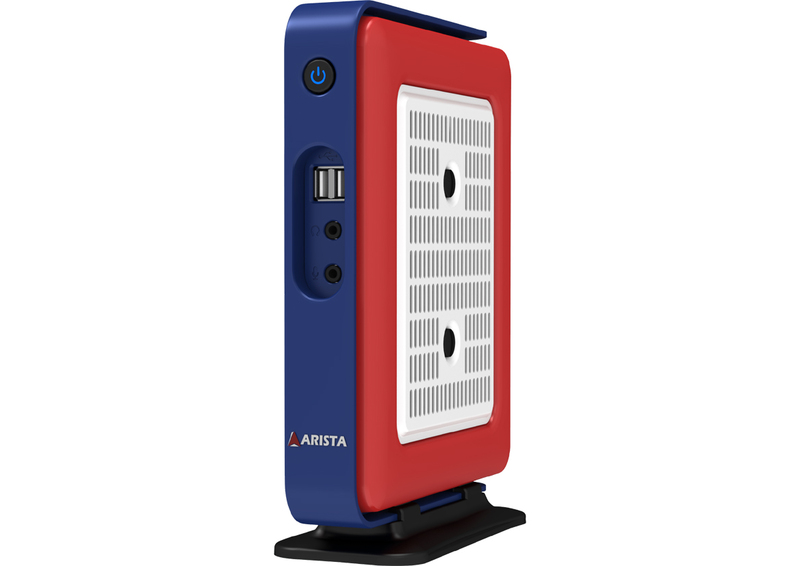 Arista office grade thin client is designed to ensure a seamless workflow with user-friendly functionalities. To know more about Arista thin client visit www.goarista.com, email sales@goarista.com or call us at 1.877.827.4782 Monday through Friday 8:00am to 5:00pm. Arista Corporation is a pioneer in the industry of product development, engineering and manufacturing of industrial computers and displays. Founded in 1994, Arista has offices in China, India and Taiwan. With years of experience and expertise in Industrial Panel PCs, Industrial Monitors, Box PCs and Fanless Embedded computers, Rack Mount Computers, ACP ThinManager Ready Thin Clients,office grade thin client, embedded CPU Boards, and video Extender/Switches. For many years Arista has served customers with reliability, integrity and trust.